You only have to type the name ‘Anne Boleyn’ into Google and it returns 738,000 results. Nearly everybody who you talk to knows who Anne Boleyn is and her story. If you ask people their opinion of Anne you are guaranteed a mixed reaction and opinion. So why do I personally think that Anne’s life and death made an impact on history? Let’s start with her life. Anne was started her life as a daughter of an English Diplomat and ended her short life as Queen of England. She was raised to this position by none other than Henry VIII himself. Henry fell in love with Anne and wanted her to become his mistress while he was still married to Catherine of Aragon. This offer Anne refused as we all know, thus starting a chain of events that would go down in history. It was many years before Henry and Anne eventually married, but during those years Anne had some influence over Henry, even though she was a woman. Henry listened to what she had to say, her ideas and views. As we know Anne was a believer in reform. She owned and read books that were considered contraband at the time. Anne would speak to Henry of these books and encourage them to also read them, most likely lending him her own books. This lead him to find the well know passage in the Bible from Leviticus that gave him the basis for his divorce from Catherine. Years passed and the Pope would not issue a dispensation to Henrys and Catherine’s marriage, thus preventing Henry and Anne to marry. Because of this Henry split away from Rome and the Pope and made himself head of the Church in England, then allowing himself to divorce Catherine. Just imagine if Anne had given into Henry and became his mistress during those years of waiting. Would he have grown bored with Anne and discarded her in the same way that he discarded her sister Mary and his other mistresses? 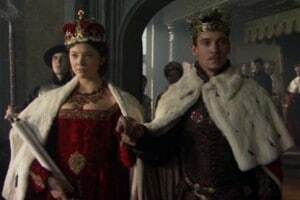 If Anne had of become his mistress, would Henry have stayed married to Catherine of Aragon and not split with Rome and the Pope? Would England have stayed a Roman Catholic country? Would the dissolution of the monasteries not have taken place? So many “what if?” questions. Before Henry married Anne he created her Marquess of Pembroke. This title she held in her own right as a woman, the first hereditary peerage title granted to a woman. Upon marrying Henry he chose to grant her the Marquessate of Pembroke, but since Anne’s death the title of Marquessate of Pembroke ceased to exist. After marrying Henry Anne gave birth to a daughter. This daughter would be a future Queen, one of the most famous Queens of England who would rule for over 40 years. By Anne having given birth to a girl instead of a boy and then having further miscarriages, it started another chain of events, with Henry finding himself a new wife and putting Anne to death. So just looking at the living years of Anne Boleyn I think that her life definitely made an impact on history. Now looking at the death of Anne, I think this also made an impact on history. On 19th May 1536 Anne was beheaded at the Tower of London by a French Swordsman. Even though she was stripped of her title as Queen, in history Anne was the first “Queen” to be publicly executed. Anne’s story of her life and death has been told in so many different ways throughout the world and in many different languages. Through books, movies, television series and plays, her life is talked about all over the world on websites and in blogs’. I read on the internet that a gentleman called George Melville-Jackson went to extreme lengths on Anne’s behalf and took a case to the Home Secretary and the Queen of England to ask for Anne to be pardoned and her remains to be buried by her daughter Elizabeth I. I think Anne’s life and death definitely had an impact on this man’s life or why else would he do this? I think that Anne Boleyn was a woman born to be remembered and that her life and death definitely make an impact on history. Once Anne chose not to become Henry VIII mistress, this was to change the course of history forever.